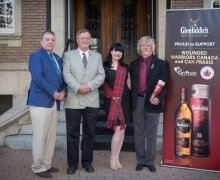 Toronto, ON – November 9, 2015 – Today, Glenfiddich, the World’s Most Awarded Single Malt Scotch whisky, will provide Wounded Warriors Canada with a check for $123,000 during a charitable presentation at the Maritime Museum of the Atlantic in Halifax, Nova Scotia. 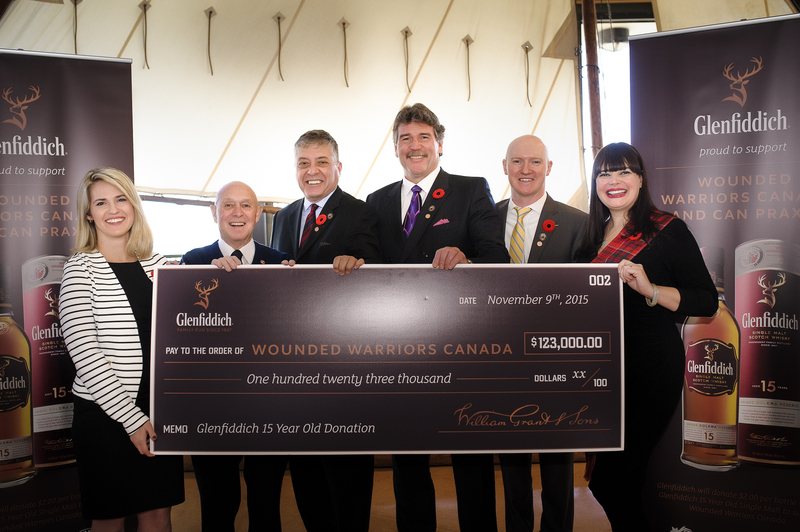 Since 2012, Glenfiddich has been a proud supporter of Wounded Warriors Canada, leveraging product sales to raise funds that provide direct support for their PTSD Equine Therapy program, Can Praxis. As of 2013, the brand made a commitment to provide an even greater contribution to the cause by donating $2 from the sale of each bottle of Glenfiddich 15 Year Old in Canada. The funds raised through this program will allow Wounded Warriors to continue to provide life-changing services that aid in the healing of Canada’s Armed Forces members, veterans, and their families. For more than 9 years, Wounded Warriors Canada has provided direct programming support to over 4,000 Canadian veterans and their families through the generosity of their partners, donors and volunteers. Over the past four years, Glenfiddich has worked to aid in raising awareness for their programs and to help Wounded Warriors fulfill their mission of assisting any Veteran in need as they transition into civilian life. 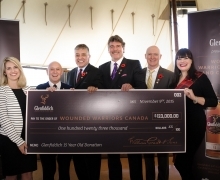 As Remembrance Day approaches, Glenfiddich is honoured to present Wounded Warriors Canada and Can Praxis with the total amount collected through the sale of each bottle of Glenfiddich 15 Year Old in Canada, at an event which will bring together members of the Wounded Warriors Canada team and their supporters. To date, Glenfiddich has donated over $425,000 in funds that will support Wounded Warriors' continued investment in family-based programming through their partnership with the PTSD Equine Therapy program Can Praxis. William Grant & Sons is an independent family-owned distiller founded by William Grant in 1887 and today still controlled by the fifth generation of his family. Named 'IWSC Distiller of the Year' in 2013 for the sixth consecutive year, William Grant & Sons distils some of the world's leading brands of Scotch whisky, including the world's favourite single malt Glenfiddich®, the handcrafted range of The Balvenie® single malts and one of the world's best loved blended Scotches, Grant's®, as well as selected other spirits, including Hendrick's® Gin, and Sailor Jerry® Spiced Rum and Tullamore Dew®.